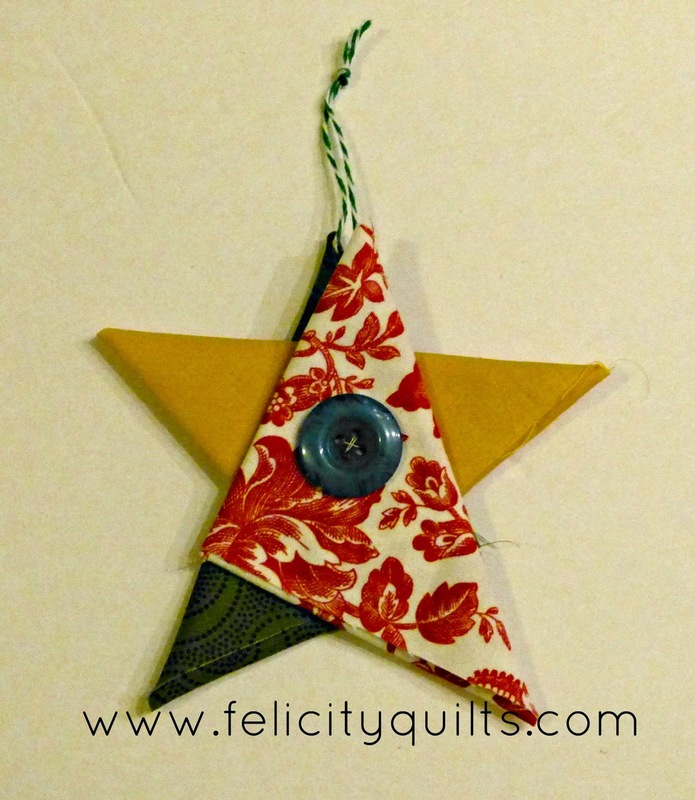 I learned how to make these adorable folded star ornaments at my traditional guild at least 10 years ago and haven't seen them anywhere since. I used this activity as a final assignment in an introductory Instructional Design course and boy was it ever fun to watch a 6'5" man who works as a parole officer learn how to thread a needle! 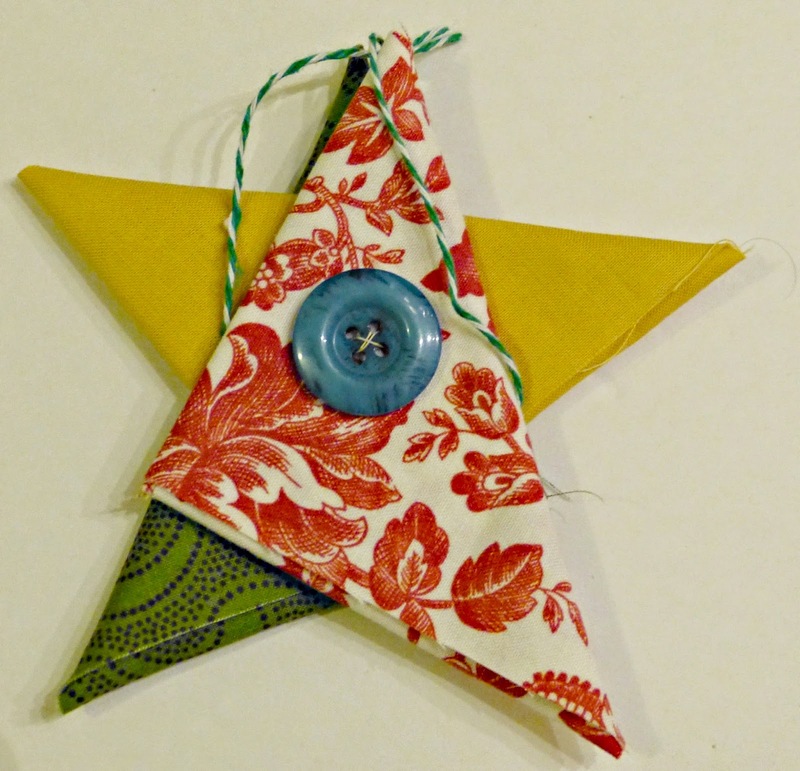 Here's a brief tutorial for making these ornaments, which can be for a Christmas tree or a Solstice celebration or even as a way to celebrate a graduation - anywhere you'd use a star. It's all about the fabric choices. 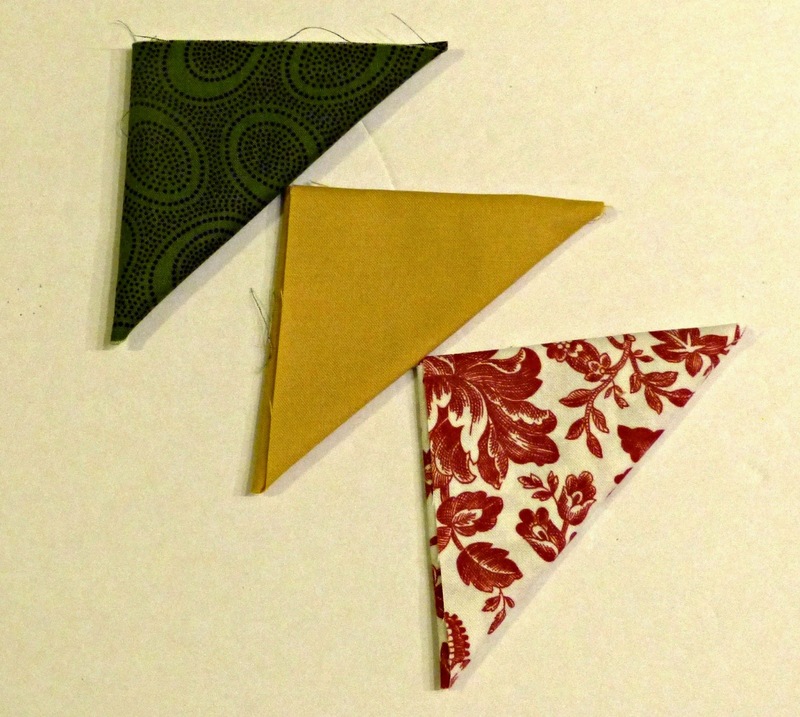 3 strips of fabric 2" x 7" - can be all the same colour, all different or any combo you like. one or two buttons, no more than ½" wide. If choosing two buttons make sure their holes line up. 1. 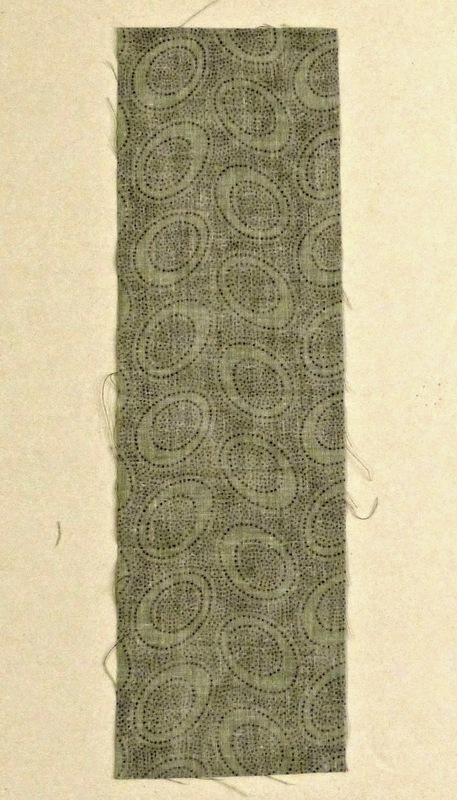 Lay strip of fabric right side down, short end closest to you. 2. 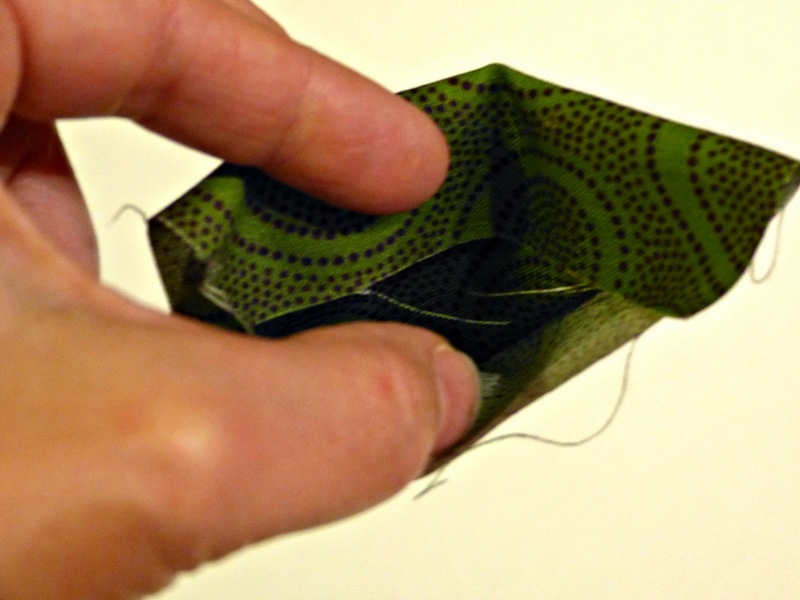 Fold up bottom corner to opposite side of strip and line up fabric edges, creating a right-angle triangle. Make sure the bottom corner is pointy. 3. 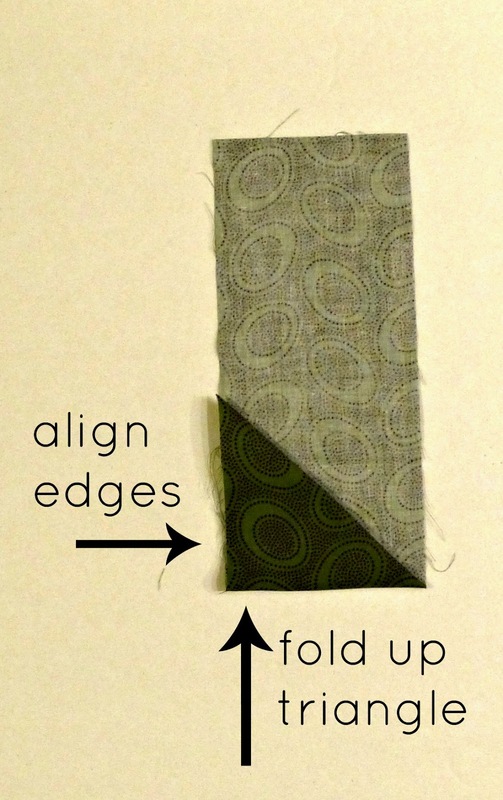 Fold triangle up so that the side aligns with the edge of the strip. 4. 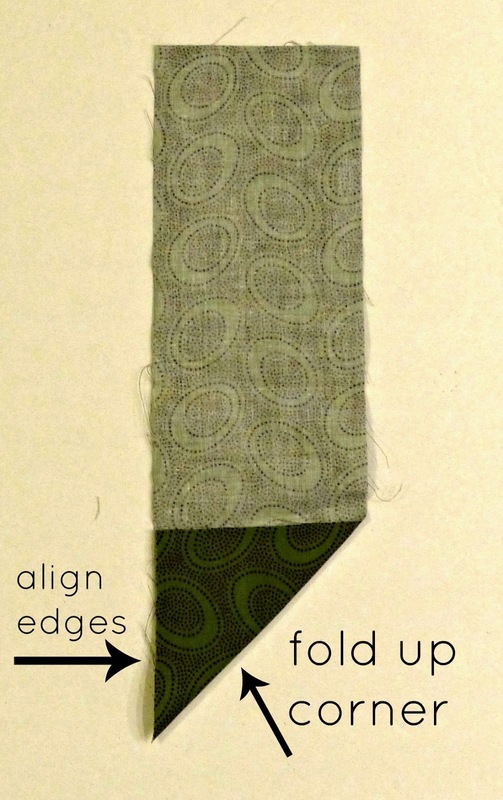 Fold again, aligning side of triangle with the edge of the strip. 5. 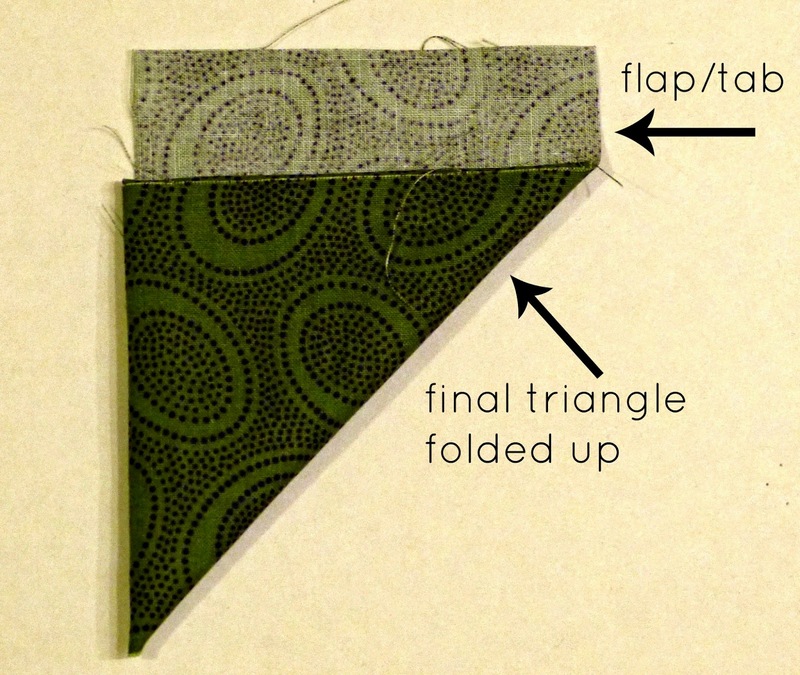 Continue folding the triangles until there's only a small flap of fabric left. 6. 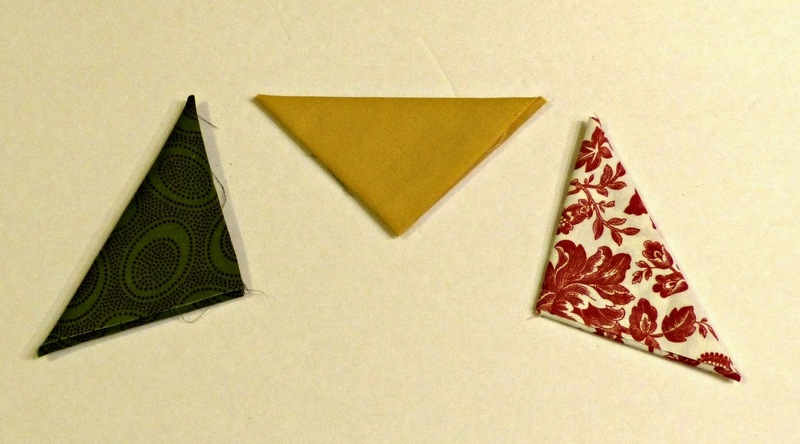 Tuck this rectangle into the folded triangle like a tab. 8. Repeat steps 1-7 for two remaining strips of fabric. 1. 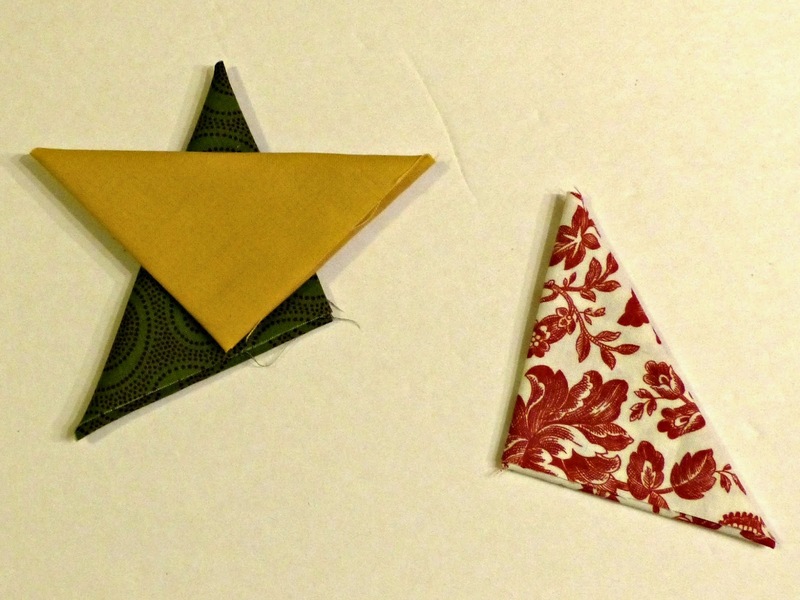 Lay one triangle long side up, and the other triangles on either side, with the long sides facing out. 3. Stack the right triangle on top, aligning the triangles as shown. 4. Secure the stack with a couple of hand stitches. 5. Attach the buttons on both sides of the ornament passing the needle all the way through both buttons from one side to the other (this is why you want the holes to line up). (Alternative: no buttons or just one button sewn and another glued). 6. Make a loop with the jute and knot the end. 7. 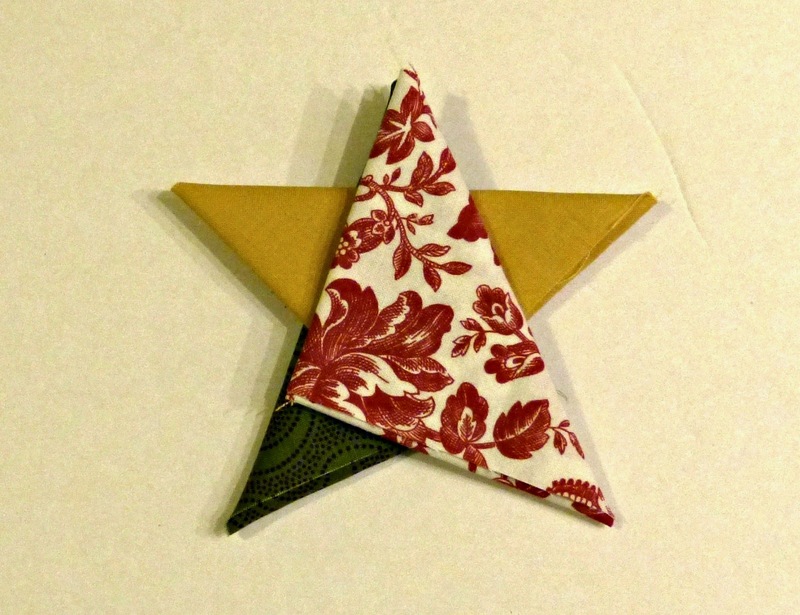 Slip the loop around the top triangle, bringing it in behind. 8. Tug the loop up to catch on the button stitches.